Video: TAVIS SMILEY | Dr. Carl Hart | July 12, 2013. Video: Fixing Public Drug Policy - Interview with Dr. Carl Hart. 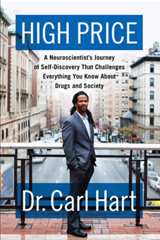 Growing up in one of Miami's toughest neighborhoods, Dr. Carl Hart experienced firsthand the devastating effects of drugs and addiction on the people he loved most. A high school student who excelled in basketball, Hart spent his nights being immersed in street life and committing petty crimes. Now, he is a cutting-edge neuroscientist and Columbia University's first tenured African American professor in the sciences. His first book, High Price: A Neuroscientist's Journey of Self-Discovery That Challenges Everything You Know About Drugs and Society (Harper), is a provocative and eye-opening memoir that charts Hart's shift from a life of drugs and crime, while using his own experiences to shed light on common ideas about race, poverty, and drugs, and explains why current policies are failing. Hart's powerful story of hope and change make him an excellent speaker for drug and addiction organizations, rehabilitation centers, and schools and universities, to name a few. After high school, Hart signed up for the US Air Force and took university classes on the bases where he was stationed. Hart then went on to receive his undergraduate degree in psychology at the University of Maryland, graduating in 1991. He completed his graduate training in experimental psychology and neuroscience at the University of Wyoming, where he received a M.S. in 1994 and a Ph.D. in 1996. 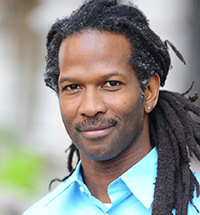 Hart is currently an associate professor in the Departments of Psychology and Psychiatry at Columbia University and a research scientist in the Division of Substance Abuse at the New York State Psychiatric Institute. He is a member of the National Advisory Council on Drug Abuse and is on the board of directors of the College on Problems of Drug Dependence and the Drug Policy Alliance. Hart has also participated in postdoctoral research training at the University of California at San Francisco, Yale University, and Columbia University.